BM Engineering Supplies is a leading valve supplier to Scotland and the rest of the UK. However, we also act as valve suppliers in Speyside, specifically for distilleries. Our unique service and knowledge base allows us to understand and implement the precise valve solutions for Speyside distilleries. We can provide same day delivery for any Glasgow based business and next day delivery for the rest of the UK. Making BM Engineering your valve supplier in Speyside ensures your product will be with you without delay. As well as speedy delivery, we also offer our technical capabilities to help guide you towards the right valve choice for your application and advise on the right size for the demands. BM Engineering has over 40 years of experience working in a multitude of industries, including the niche industry of distilleries. Our experience of working with a variety of environments has allowed us to tailor our skills and expand our knowledge to offer valve supplies for distilleries in Speyside and the rest of the UK. The intricacy of the distilling industry means that only the most precise, hygienic and reliable valves can be utilised. BM Engineering can advise on the most effective and suitable valve to ensure your product is of the highest standard. A brand we use specifically for the distilling industry, across the whole of Scotland, is Zwick Armaturen. Our partnership with Zwick Armaturen allows us to distribute only the highest performing valves, that guarantee 100% zero leakage. Their valves are used worldwide for a multitude of gas and liquid industries. Our partnership with Inoxpa allows us to provide hygienic valve solutions for industries such as the food and beverage, pharmaceutical and dairy industries. We also offer a comprehensive portfolio of trusted brands, including Valsteam ADCA, Bürkert, Leengate Valves, Orbinox, Max Air Technology and Unitech SRL. Our team can advise you on the right brand choice for your application’s requirements. BM Engineering has an extensive product range to cover an array of industries. We not only supply valves for Speyside distilleries, and the distillery industry for the rest of the UK, but also for industries including brewing, dairy, food and beverage, pharmaceutical and renewables. 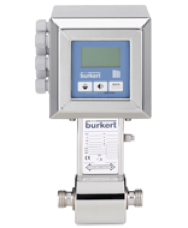 Our product selection includes hygienic, butterfly, ball, globe, knife-gate, non-return, angle seat and solenoid valves. As valve suppliers for Speyside, we have this varied selection of valves available for next day delivery to your business. Having us as your valve suppliers in Speyside ensures you receive top quality, reliable products for your application. For more information on what we can offer Speyside distilleries, or any other industry, talk to one of our technical team today. Call us on 0141 762 0657 or email us at sales@bmengineering.co.uk.